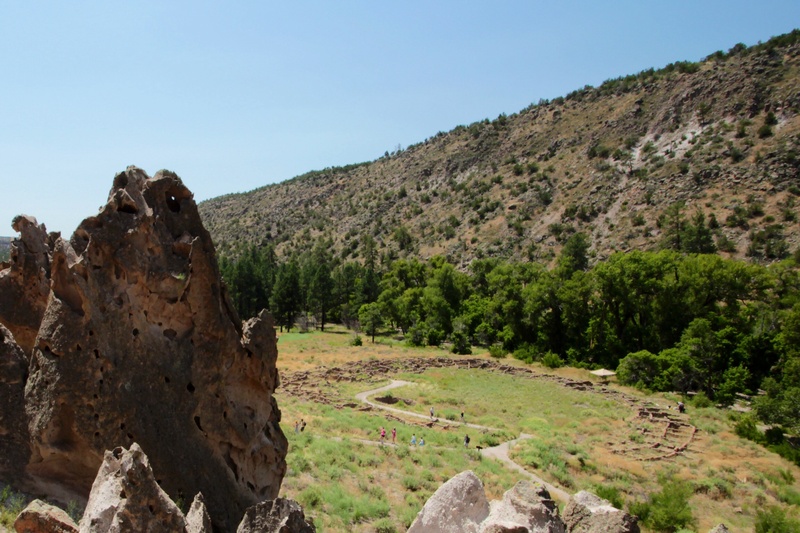 Last week, we (Amanda and me) spent a day hiking in Bandelier National Monument. We spent our day in one valley, and at one point hiked a mile to the top of the ridge. The ancestral Pueblo people arrived in this valley in the mid-13th century, building villages on the valley floor and also living in caves carved from the canyon walls. By the 15th century, the people moved on to other areas of what is now New Mexico. We spent our day exploring many of the caves, climbing the ladders to get inside their homes and see the petroglyphs painted on the walls. The ancestral Pueblo people left no written history, and yet archeologists have learned much about the way they lived, how they established community, and the values that were important to them – all this just by uncovering what they left behind. This week, I read the book, “Falling Upward: A Spirituality for the Two Halves of Life”, by Richard Rohr. He suggests there are two halves to life. The first half of our life is about finding the starting gate. It is creating the container of our lives and what makes us significant. But the second half of life is claiming the meaning and purpose of our lives and living into that meaning and purpose. To do that, we’ve got to leave home (i.e. our comfort zone) just as Abraham and Sarah left their comfort zone to go to the place where God would lead them. As we hiked and learned about the ancestral Pueblo people, I realized that regardless of my intentions, my life, my words and actions, will echo into the next generation. What is important to me? I am already answering that question, even if I’ve not been doing so purposefully. But, in reading Rohr’s book, I can claim the second half of life purposefully using my past (challenges, struggles and even failures) as the foundation for what is important to me. Often I give lip-service to what’s important. I can list what’s important to me, but one day an archeologist (or a great, great grandchild) will uncover what was truly important – because my life will echo into the future. 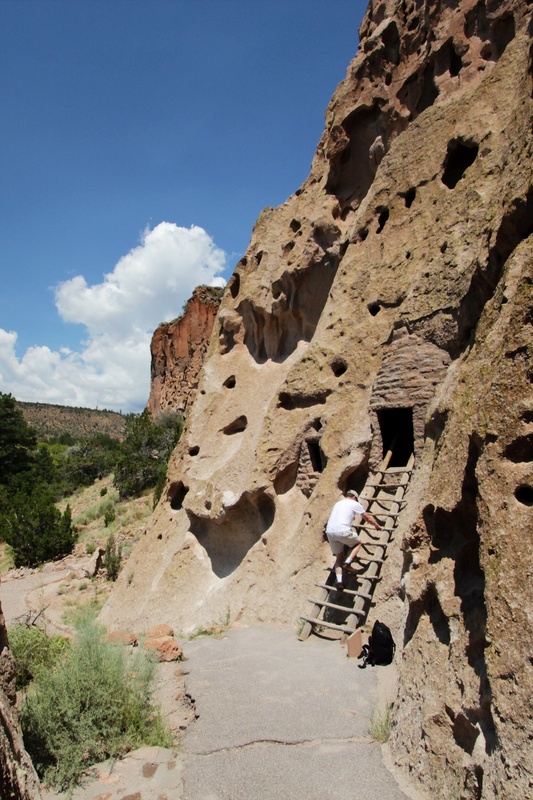 It was interesting to learn that today’s Pueblo people believe their ancestors still live spiritually at Bandelier. We see the reminders of their lives and literally walk in their footsteps. I am leaving footsteps. Am I leaving the footsteps that I want others to re-visit? I wonder…as I live into the journey.